In his famous quatrain collection Les Propheties (The Prophecies), 16th-century French clairvoyant Michel De Nostredame foretold the occurrence of numerous major world events. Experts studying the poems state that Nostradamus predicted the Great Fire of London, the French Revolution, World War II, and the September 11, 2001, tragedy in the United States. Thus, as the world quickly approaches the Aquarian Age and the December 21, 2012, baktun cycle change on the Mayan calendar, Nostradamus’ writings are garnering much attention. Those researching Nostradamus’ other works are uncovering more remarkable findings. For example, in August 2002, the US-based newspaper Sun published Grant Balfour’s article, “Nostradamus: I Know America’s Future!” on a letter discovered in France. 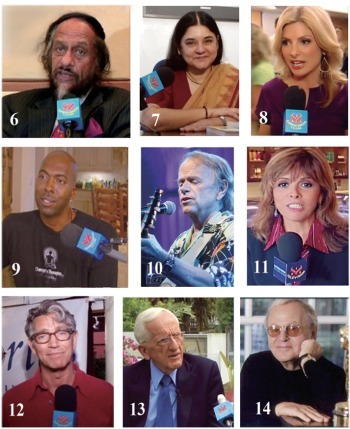 Mr. Balfour reported that a respected panel of academic experts led by Dr. Jeanne LaFobruge concluded that the letter contained a record of Nostradamus’ visions about significant recent and future events in the US and elsewhere. 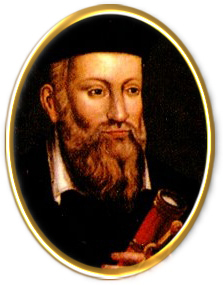 In his letter, not only did Nostradamus accurately describe the international economic recession and other important present-day global events, he also described a new leader who would usher our world into an “age of exploration and limitless prosperity” lasting more than 1,000 years. The following is a condensed collection of excerpts from the Sun article about the new leader Nostradamus described. 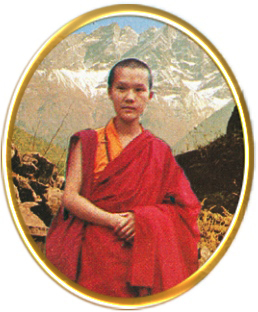 Supreme Master Ching Hai achieved complete enlightenment in the Himalayas and was in a region of India bordering Tibet before being sought out to share Her teachings with the public. 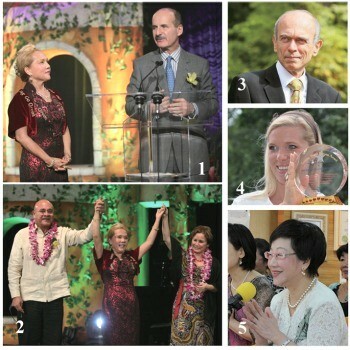 A recipient of the 「World Spiritual Leadership Award」, presented in 1994 by governors of six states in the US, Supreme Master Ching Hai has long served as a foremost spiritual guiding light. 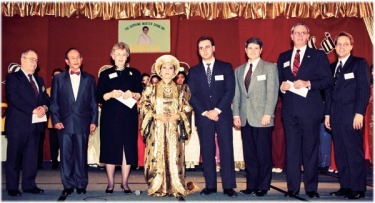 Over the last two decades, Supreme Master and Her Association have been providing emergency assistance, disaster relief, and ongoing charitable aidto alleviate the pain and suffering of humans and other beings across the globe. 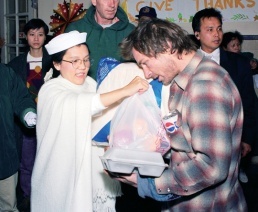 Some of their activities include the rapid provision of vital supplies following calamities such as the 2011 Japanese tsunami; the 2010 Haiti earthquake; the 2008 Sichuan, China earthquake; Cyclone Nargis in Myanmar (Burma) and other Asian countries; Hurricane Katrina in the US and the Kashmir earthquake of 2005; the 2004 Indian Ocean earthquake and tsunami, and the September 11, 2001, event in New York, USA. 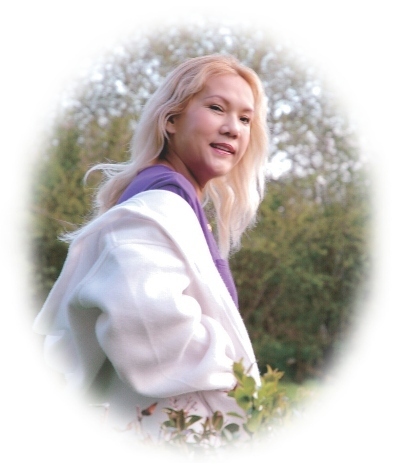 Supreme Master Ching Hai practices and shares a meditation technique called the Quan Yin Method, through which one can reach a deeper union with the Creator via contemplation of the inner Light and Sound」. The inner Light, or the light of God, is the same light referred to in the word “enlightenment.” It shines forth as wisdom and compassion. The cosmic vibration known as the inner Sound, being all powerful and ever present, is also experienced as an inner melody of divine love and can heal all wounds, fulfill all desires, and quench all worldly thirsts. 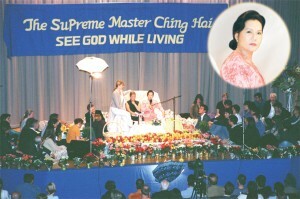 As the deepest and most effective form of real prayer, the meditation technique taught by Supreme Master Ching Hai thus allows a sincere spiritual aspirant to be transported to higher realms of existence through contact with the direct teachings of God. 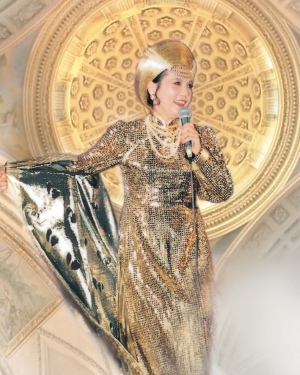 She also advised everyone to spend more time in deep meditation during this special period.